Manny Pacquiao (right) against Floyd Mayweather during their boxing bout at the MGM Grand Garden Arena. (ABC NEWS) - Floyd Mayweather Jr. says he's coming out of retirement again to fight Manny Pacquiao for a second time in December. 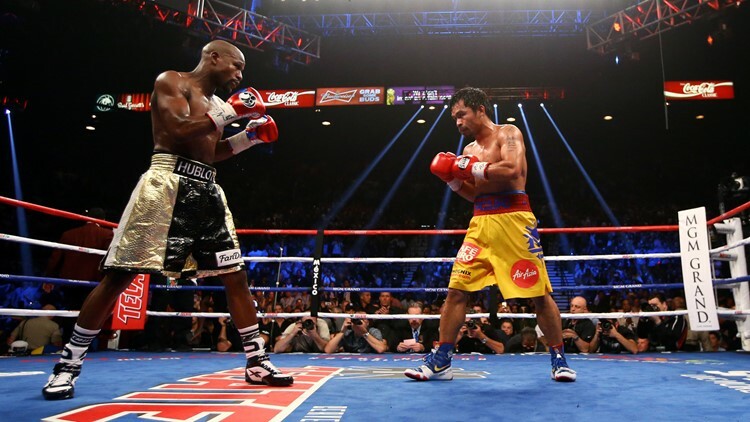 "I'm coming back to fight Manny Pacquiao this year," Mayweather said. "Another nine-figure payday on the way."